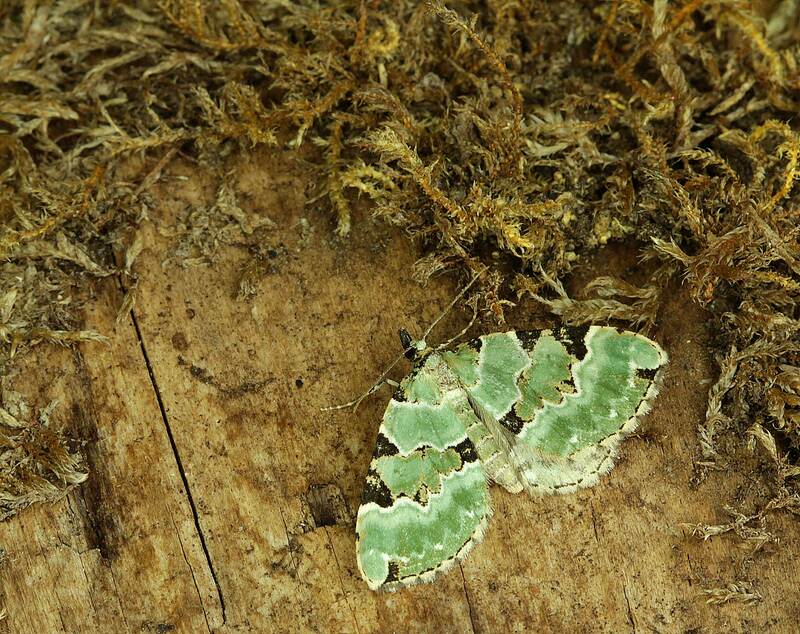 Some moths are a brilliant green colour when fresh, however this quickly fades to dingy white – particularly so in the Green Carpet. However the striking blackish marks on the front edge of the wing remain in all states, making this moth easy to identify. Often seen in daytime and flies most at dusk like other carpet moths. Two generations, May-mid July and Aug- early September..
Found in open woodland and open country in both rural and urban situations.